Oligodontia, or agenesis of six or more teeth, excluding third molars, which involves canine agenesis is rare, and restorative management can be challenging. Bilateral agenesis of a permanent canine in the general population often indicates a several missing adult teeth. The most common sign of it is the primary canine retention beyond its exfoliation age. The multistage restorative management includes the early diagnosis, excluding associated medical problems as well as assessment of patient's malocclusion and facial skeletal pattern, life span of deciduous teeth, possibility of premolar substitution, minimum required number of prosthetic units, patient's preferences, and the cost of treatment. 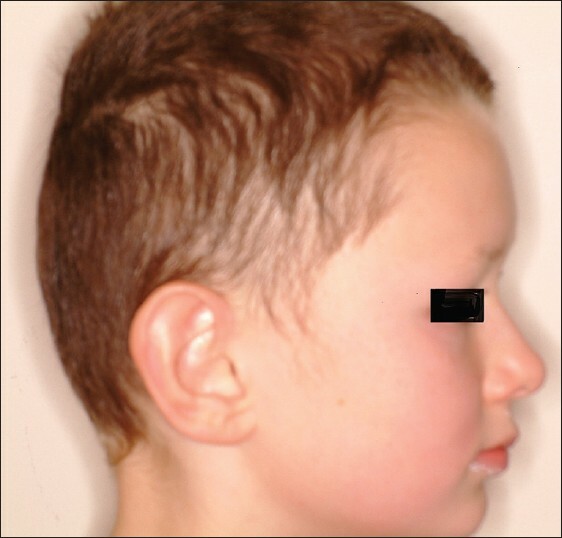 A 10-year-old boy with bilateral agenesis of maxillary permanent canines is described. Some thoughts on the multidisciplinary restorative management of this case are discussed. Aim: To determine the static frictional resistance of different lingual brackets at different second order angulations when coupled with stainless steel (SS) archwire in dry and wet conditions. Materials and Methods: Using a modified jig, frictional resistance was evaluated under different conditions for a total of 270 upper premolar lingual brackets (0.018″ × 0.025″ - conventional - 7 th generation and STb, self-ligating - evolution) with no in-built tip or torque together with 0.016″ × 0.022″ straight length SS archwires. For conventional brackets, the archwire was secured with 0.008″ preformed SS short ligature ties. 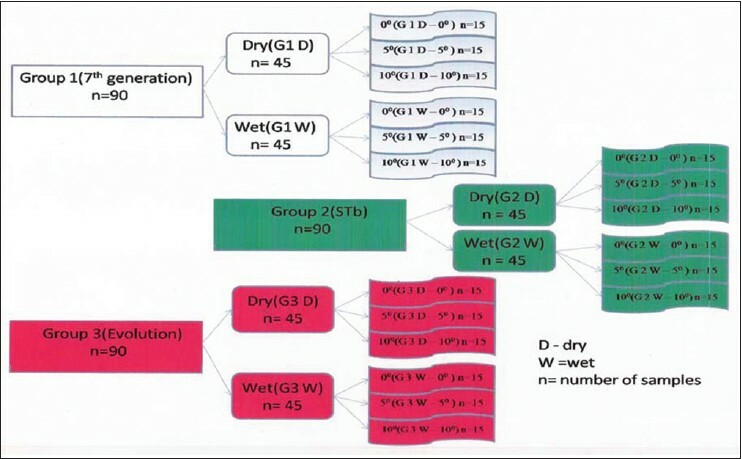 Statistical Analysis: One way analysis of variance with Tukey HSD as post-hoc test was applied for degree wise and bracket wise comparison within dry condition and wet condition. For pair wise comparison Student's t-test was used. Results: Under both conditions the static frictional resistance is significantly higher for self-ligating brackets at 0°, while at 5° and 10° it is higher for 7 th generation brackets. Statistically, significant difference does not exist at 0° between conventional brackets and the same was found at 5° and 10° between STb and self-ligating brackets. With an increase in second order angulations, all the evaluated samples exhibited an increased frictional value. Wet condition samples obtained a higher value than their corresponding dry condition. Conclusion: The self-ligating bracket evaluated in this in vitro study is not beneficial in reducing friction during en-mass retraction due to its interactive clip type. Objectives: The aim of this study was to evaluate the cytotoxic effects of fiber reinforced composite bonded retainers in comparison with flexible spiral wires (FSWs) under high and low cariogenic-simulated environments using human oral fibroblasts. 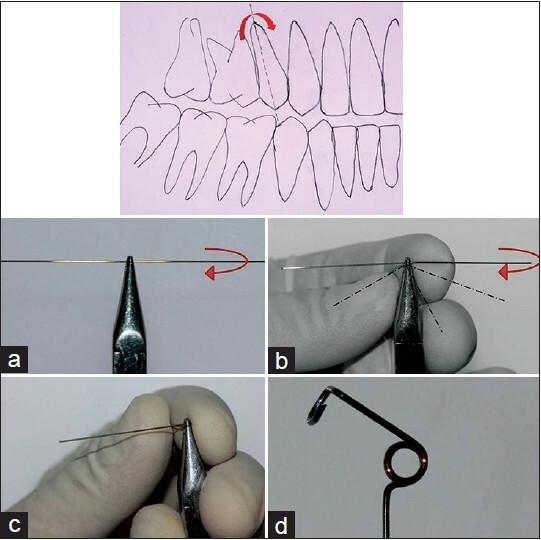 Materials and Methods: Four types of bonded retainers were evaluated: (1) reinforced with glass fibers: Interlig (Angelus), (2) reinforced with polyethylene fibers: Connect (Kerr), (3) reinforced with quartz fibers: Quartz Splint UD (RTD), and (4) FSW. Twenty specimens of each sample group were prepared with the same surface area and halved. Next, half of them were placed in a high cariogenic environment 60 min in 10% lactic acid 3 times a day and remained in Fusayama Meyer artificial saliva for the rest of the day) and the other half were placed in a low cariogenic environment 20 min in 10% lactic acid 3 times a day and remained in Fusayama Meyer artificial saliva for the rest of the day) for 1, 7 and 30 days. Cell viability was assessed by MTT assay. 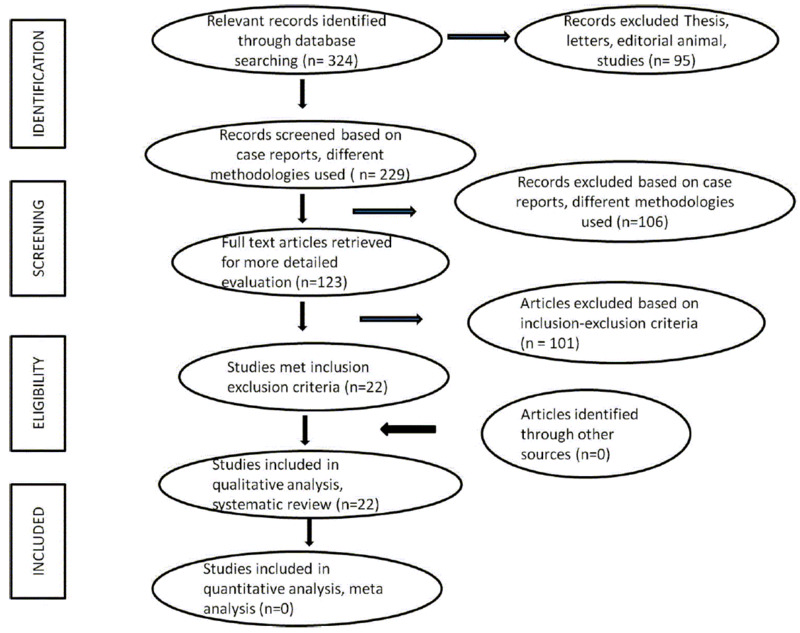 Data were analyzed using SPSS software (α =0.05). Results: During the 1 st month, cytotoxicity reduced gradually. In the low cariogenic-simulated environment, the cytotoxicity of all of the groups were reported to be mild at day 30 and the difference between them was significant (P = 0.016). In the same period in the high cariogenic-simulated environment, the cytotoxicity of Connect and Quartz Splint was mild, and they had lower cytotoxicity than the other groups. Meanwhile, Interlig had moderate (52%) and FSW had severe cytotoxicity (22%) and the difference between the groups was also significant (P = 0.000). Conclusions: FSW retainers are not recommended in those at high-risk for dental caries. However, in those at low-risk, there is no difference from the standpoint of cytotoxicity.